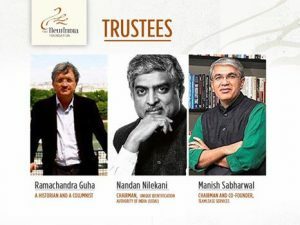 Mumbai: The New India Foundation (NIF) today announced the latest awardees of the New India Fellowship that acknowledges scholars and writers working on different aspects of the history of independent India. Currently in its eighth cycle of awards, the New India Fellowship continues to match public-spirited philanthropy with ground-breaking and relevant scholarship. Among the awardees in this round are a history professor from IIT Guwahati, a Supreme Court lawyer, an ecologist, a pioneering publisher, and some renowned journalists – each of whom were selected through a rigorous three-tier selection process. S. Anand, Founder, Navayana Publishing Pvt. Ltd., New Delhi, for his proposal, ‘Babasaheb: The Many Lives of Bhimrao Ramji Ambedkar’. Previously a journalist with leading mainline newspapers, Anand left his job as a journalist to establish Navayana – a publishing house that focuses on caste-related issues. He has also co-authored and curated Bhimayana, an award-winning graphic biography of Ambedkar. Anand hopes to use the Fellowship to rigorously investigate the life and after-life of B. R. Ambedkar, the lawyer-scholar-statesman whose imprint on our modern history has been definitive.